GDPR: Are Your B2B Integration Processes Ready? In a few months, the European Union’s General Data Protection Regulation (GDPR) will come into effect. This far-ranging law will impact businesses well beyond the EU’s borders. 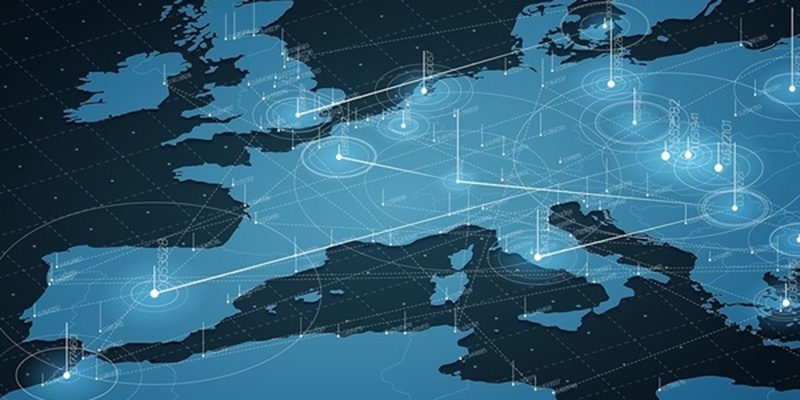 Companies operating in North America and other parts of the world will have to take GDPR into account when considering B2B integration. Read on to learn what the GDPR is, how it will affect companies around the world, how to be compliant (and what penalties you will face if you are not), and how GDPR and B2B integration are linked. GDPR is EU legislation that modernizes and reforms the laws on handling personal data. It replaces the European Data Protection Directive which was inconsistently implemented and lacked legislative authority. 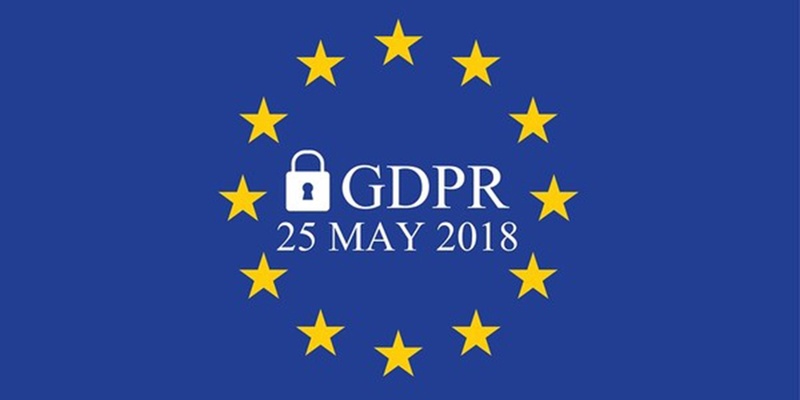 The deadline for GDPR compliance is May 25, 2018. The goal of GDPR is data minimization. Businesses today maximize the amount of information they collect on customers, often without thought to whether that data is necessary or how long they will keep it. In contrast, data minimization stipulates that companies should collect the least amount of information possible on customers, keep it for the shortest amount of time possible, and delete that data after it fulfills its purpose. How Will GDPR Affect Companies Around the World? You might read this and say, “Well, we are based in Milwaukee. What does a law in the EU have to do with us?”, however, it could affect your business. GDPR affects companies that store or process personal information of EU citizens within EU states. It does not matter if those companies do not have a business presence within the EU; firms must still comply with this law. Small companies are not exempt. Companies with fewer than 250 employees are still bound by GDPR if its data processing impacts the rights and freedoms of EU citizens, is not occasional, or includes certain kinds of personal data. What does “personal data” mean under GDPR? The EU defines the term as any information relating to an identifiable person who can be identified by a reference to an identifier. An identifier includes a person’s name, identification number, location, or screen name. GDPR applies to digital information and information which is recorded on paper. “Sensitive personal data” refers to special categories of personal information. Those categories include genetic and biometric data. Even if personal information has been key-coded (so it is harder to identify), it can still fall under GDPR if it is possible to attribute that pseudonym to an individual. Those requirements mean that GDPR’s reach will be felt across the globe. A survey conducted by PwC in 2017 showed that 92 percent of American companies believe GDPR is a top data protection priority. How Can You Become GDPR-Compliant? Understanding how to become GDPR-compliant involves a thorough comprehension of the regulation’s requirements. For a start, each EU individual must give explicit consent for his or her personal information to be collected and used. Second, you need to explain to the EU individual how that data will be used. If the information is not being used the way it has been explained to the EU citizen, you must provide a method to rectify that problem. You need to delete an individual’s personal data after a certain amount of time. In the event of a cyber-attack, a firm has 72 hours to notify everyone affected by the breach and the Information Commissioner’s Office. Organizational Structure: The way your company is organized must change to comply with GDPR. You must establish a data protection policy and a change management strategy to ensure that everyone understands the importance of abiding by GDPR. In addition, you need to assign the right people to take on the responsibilities of protecting data. This change must take place across the entire company. Processes: Your firm must also adjust its processes. Identify all the data that falls under GDPR. Next, create processes for managing customer consent, how you disclose stored personal data, and how you will correct personal information containing errors. Then, you must train your personnel to follow these processes. Systems: Meeting GDPR standards involve making sure that your systems can protect personal data. This might mean updating them to ensure that they are not vulnerable to data breaches. Mapping the personal information stored within those systems enables you to prioritize their protection because they are the most likely to be targeted. What Kinds of Penalties Can You Face for Non-Compliance? “So, what happens if I do not comply with GDPR?”, the financial penalties are harsh. Under GDPR, you can be fined up to €20 million or 4 percent of global turnover, whichever is higher. No matter how successful your company is, that is a large amount. It is not just the money, the penalty goes beyond financial impact. When customers know you have received a fine for noncompliance, they will be less likely to trust you and will be more reluctant to do business with you. Analysts speculate how the EU will assess penalties. What happens if a company is breached, but customers do not experience any effects? A consensus has developed that regulators will target a few firms that do not comply to send a powerful message. What Is the Relationship between GDPR Compliance and B2B Integration? It might not sound like GDPR compliance and B2B integration are related in the slightest. However, there is a strong link between the two. The purpose of GDPR is for companies to have complete control and visibility into their customer data so that their clients can trust their personal information will not be misused. B2B integration’s goal is to enable that complete control and visibility into customer data. In fact, B2B integration makes it possible to comply with GDPR more easily. There has never been a better time to embark on a B2B integration project than now. If you want to avoid fines and comply with GDPR, B2B integration helps you achieve that aim. How does B2B integration enable GDPR compliance? B2B integration breaks down the information silos within firms that have been constructed over the years. These silos prevent corporate leadership from knowing what data they possess, who owns it, how old it is, and whether it is still useful. B2B integration eliminates those silos. It brings information into one place so you can manage the lifecycle of your customers’ personal data. By knowing what data you have, where it is, how old it is, and how it is being used, you are taking the right steps to become compliant with the new requirements. B2B integration helps you manage information in transit, such as email or data collected from mobile devices. GDPR also applies to this information, so if you do not have control over this data flow, you will not be in compliance with the regulation. With B2B integration, you can put effective data governance regulations in place as mandated by GDPR. You now know what will happen to information when it enters your organization or is created by someone within your company. B2B integration gives you the insight and the control over your data you need to comply. Many companies see GDPR as an inconvenience and a financial threat. While the penalties for noncompliance are severe, the purpose of GDPR is not to punish businesses. It is to protect the public from threats to their personal data. However, companies should see GDPR as an opportunity to revamp the way they handle data. At many firms, information sits idle and useless in disparate repositories that are not properly secured. It is a costly, risky way to do business, and will become even more so on May 25, 2018, when GDPR requirements go into effect. B2B integration offers organizations a way to become GDPR-compliant and manage their information for more efficient operation and greater customer satisfaction. GDPR is a wakeup call for firms, and it is not too late to abide by the requirements. It is not just about avoiding hefty fines; it is about controlling your data. To learn more about how B2B integration and GDPR go hand in hand, contact us today.